Posted on 19, November 2018 by EuropaWire PR Editors | This entry was posted in Aviation & Aerospace, Germany, Switzerland, Technology and tagged aerospace, AI, Airbus, Alexander Gerst, astronaut assistant, Bernd Rattenbacher, Christian Karrasch, CIMON, DLR, Dr Judith-Irina Buchheim, German Aerospace Center, Matthias Biniok, robotic, space, Till Eisenberg. Bookmark the permalink. 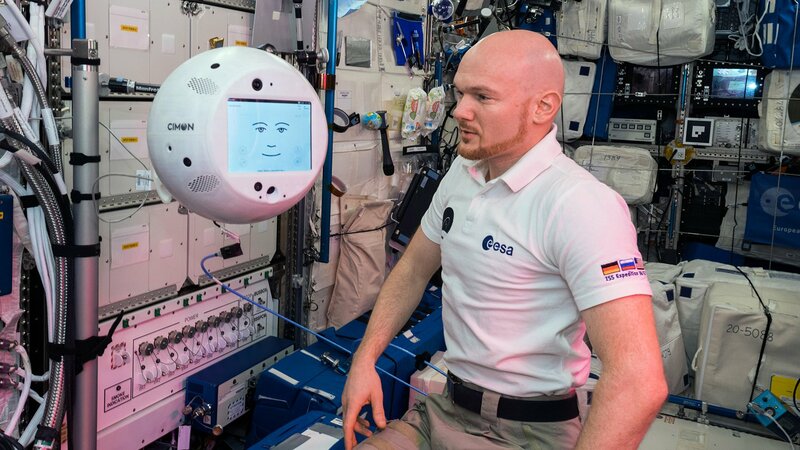 FRIEDRICHSHAFEN/ BREMEN, 19-Nov-2018 — /EuropaWire/ — The astronaut assistant, CIMON* (Crew Interactive Mobile CompanioN), developed and built by Airbus on behalf of the German Aerospace Center (DLR), has passed its first tests in space with flying colours. It worked together with German ESA astronaut, Alexander Gerst, in the Columbus module of the International Space Station (ISS) for around 90 minutes.